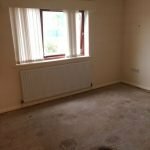 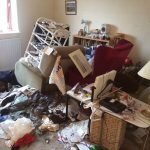 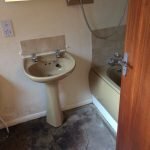 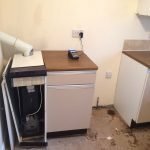 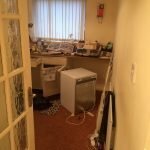 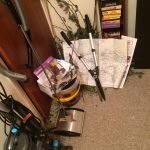 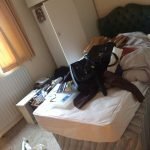 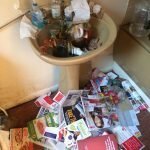 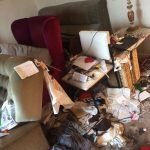 House Clearance Service In Inverclyde Greenock Inverkip Kilmacolm. 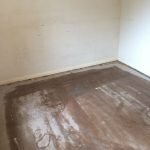 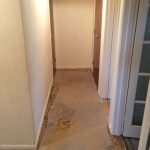 Hi I am requiring a clearance for a property in Inverclyde, i only require a large double loft to be cleared, is this something your firm can help with?. 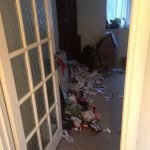 Over the years my parents have stored everything from Christmas decorations to clothes and furniture up in their loft, it is very cluttered and may require more than one van load. 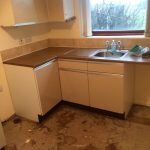 The loft is easy accessible as this was a conversion. 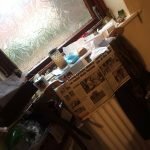 Please let me know if this is something you can do and what dates you have available next week. 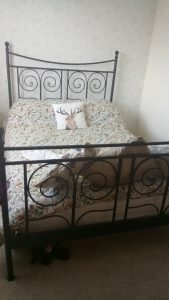 A black iron four poster double bed frame, together with a white double mattress. 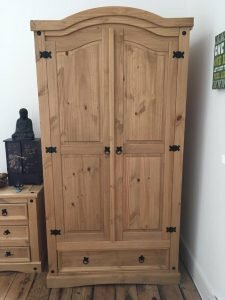 A tall standing solid pine double wardrobe, together with a matching three drawer chest of drawers. 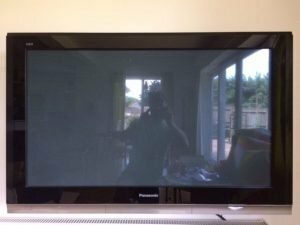 A black Panasonic 42 inch TH-42PX700B plasma flat screen television. 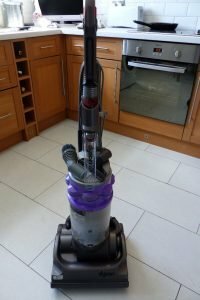 A purple and grey Dyson DC14 upright bagless vacuum cleaner. 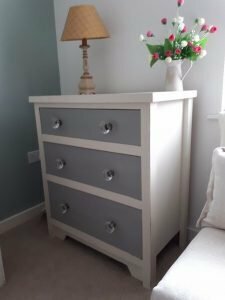 A painted white and grey solid pine chest of three drawers, each drawer with two crystal knobs. 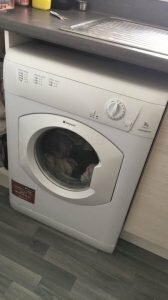 A white Hotpoint 7kg under counter tumble dryer. 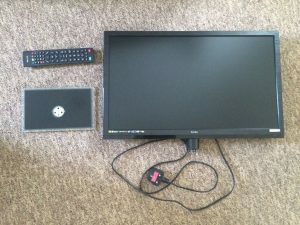 A black Samsung 24 inch full HD flat screen television, with built in DVD player. 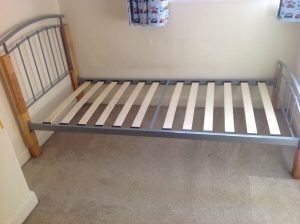 A wood and chrome single bed base. 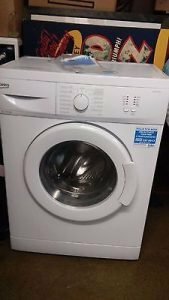 A white Beko WM62125W 6kg under counter washing machine. 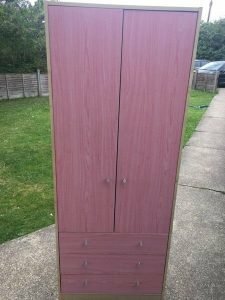 A pink wood slim double children’s wardrobe, having three storage drawers. 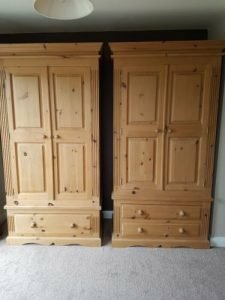 A pair of solid Lancashire pine double wardrobes, one having two storage drawers, the other with one drawer. 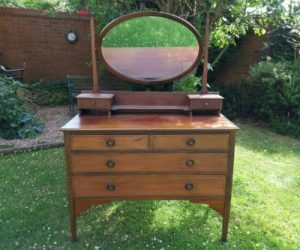 A vintage solid wood dressing table, having two small drawers below an oval swing mirror, with two small over two large drawers. 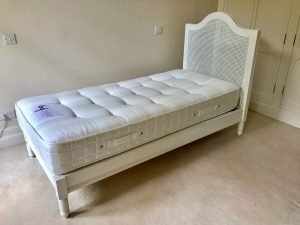 A white painted solid wood single bed frame, together with a white single mattress. 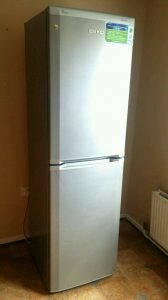 A silver Beko slimline two door fridge freezer. 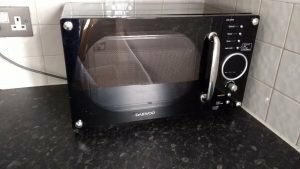 A black Daewoo 20L microwave oven. 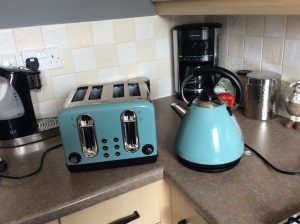 A turquoise cone shaped kettle, together with the matching four slice toaster.